After listing a townhouse in the sought after subdivision of Shannon Station, located in West Springfield(22152), the Browning Homes Group got the home under contract in just 2 and a half weeks. 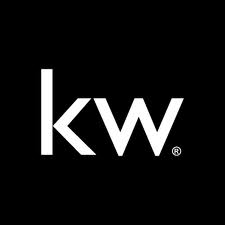 The Browning Homes Group is a Keller Williams real estate team that specializes in West Springfield. This home went on the market on January 14th and is expected to go to settlement in March. Aaron J. Browning, owner of the Browning Homes Group, is representing the sellers. Due to his aggressive marketing plan and negotiating skills, a strong contract was received quickly. Being a resident of Shannon Station himself, Aaron said, “No one knows more about our neighborhood or cares more about our home values than I do. My family and I live here, too.” As Shannon Station neighborhood experts, Aaron and his team are thrilled for their clients, who happen to also be neighbors and friends. The Browning Homes Group prides themselves on helping preserve Shannon Station home values and getting the best deals for their clients. Aaron continues to prove why he is Springfield’s most referred Realtor. If anyone is interested in moving to Shannon Station, but missed out on this listing, Aaron also just listed another Shannon Station townhouse that went on the market yesterday. This brick front 3 level townhouse has 3 bedrooms, 3 full baths, 1 half bath, and is located on the same street. Anyone looking to buy or sell a home in Shannon Station or West Springfield can contact the Browning Homes Group and they will show you how their marketing plan can work for you whether you are buying or selling. Coming Soon! Gorgeous Townhouse in Shannon Station! Call us today at 571-234-1456 to schedule a private showing! This is the most sought after model (Covington) on the most sought after street (Kerrydale Ct.) in all of Shannon Station! Just Listed in the sought after West Springfield neighborhood of Shannon Station! This gorgeous brick front 3 level townhouse has 3 spacious bedrooms, 2 full baths, and 2 half baths. Large eat-in kitchen with brand new stainless steel appliances that walks out to large deck. Separate living room and dining rooms with hard wood floors. Brand new carpet on upper level and in the basement. Freshly painted throughout. Brand new HVAC and hot water heater. Our real estate team, the Browning Homes Group, specializes in West Springfield and helped our buyers submit a contract within days of a Orange Hunt Estates home being listed on the market at the end of May. This Orange Hunt Estates single family home had multiple offers, but we helped our buyers submit a winning contract on the single family home in their dream neighborhood. The home went to settlement on July 25th. Due to my strong negotiating skills and extensive knowledge of the West Springfield real estate market, my buyers were able to purchase the home they wanted in Orange Hunt Estates. Being a resident of West Springfield myself, in the neighboring community of Shannon Station, I know that no one knows West Springfield better than I do. My family and I live here, too. These buyers were referred to me, as Browning Homes Group and I have built our business on referrals. As an agent who has called West Springfield home for over 20 years, I brings a wealth of knowledge and expertise about buying and selling real estate in the West Springfield area. Additionally, I bring a team of dedicated professionals that work with our clients every step of the way. My team and I specialize in West Springfield real estate. Anyone looking to buy or sell a home in West Springfield can contact us and we will show you how our marketing plan can work for you whether you are buying or selling. Interested in knowing your home value, click here. We are true neighborhood specialists in Cardinal Forest, Keene Mill Village, Orange Hunt Estates, Rolling Valley, Shannon Station, and more! Whether you are a first time home buyer, a military relocation, looking for West Springfield Investments, or looking for Short Sale and Foreclosure Resources, we are here to help you! During the last week of May we helped our buyers submit a contract on a single family home in their dream neighborhood of Orange Hunt Estates. This home, located in West Springfield, had multiple offers, but the offer we submitted beat out all the other offers. Due to our strong negotiating skills and extensive knowledge of the West Springfield real estate market, our buyers submitted the winning contract on the home they wanted. As a resident of West Springfield myself, I know that no one knows West Springfield better than I do. My family and I live here, too. As an agent who has called West Springfield home for over 20 years, I bring a wealth of knowledge and expertise about buying and selling real estate here. Additionally, I bring a team of dedicated professionals that work with our clients every step of the way. Anyone looking to buy or sell a home in West Springfield can contact me and the Browning Homes Group and we will show you how our marketing plan can work for you whether you are buying or selling. If you’re interested about your home’s value in today’s market, click here. Amazing rental opportunity in sought after Cardinal Forest, located in West Springfield. Call us today at571-234-1456 to schedule a private showing. Great opportunity to live in a townhouse with the perks of a condo! All utilities included except electric. Completely updated home with fresh paint and new carpet in rec room. Hardwood on main and upper levels. Must see! Close to shopping, schools and an easy commute. Pool, tennis courts, tot lots & much more. of Old Keene Mill and Rolling Roads. Road across from Cardinal Forest Plaza. offers a year round pool and gymnasium plus a myriad of other sports and activities. West Springfield High School, Fairfax County School Boundary Search. homes for sale in Cardinal Forest. Every home for sale in Orange Hunt Estates is listed here! Start your home buying search today! Orange Hunt Estates was first established in 1967 and has approximately 700 detached homes on ¼ to 1/3 acre wooded lots. The Orange Hunt Estates community is conveniently located in the Springfield/Burke area, close to many different things. Only a few minutes from Fairfax County Parkway, Orange Hunt Estates homes have a metro bus stop and the Springfield Metro is less than 10 minutes away. Orange Hunt Estates is a commuter’s dream neighborhood. The Orange Hunt Estates community has a pool and tennis courts, along with its own park, Orange Hunt Estates Park. Residents also enjoy access to Pohick Stream Valley Park, Hidden Valley Nature Center, and Huntsman Lake. Four shopping centers are right down the street including Huntsman Square Shopping Center which features a Giant grocery store, Subway, & Starbucks. Old Keene Mill shopping center features a Whole Foods and Austin Grill. Rolling Valley Mall shopping center features a Shoppers Food and a Boston Market. Burke Town Plaza features a Safeway and a Glory Days restaurant. For more information about Springfield – Orange Hunt Estates real estate, please contact theBrowning Homes Group at 1.800.991.4103. Sign up at our website to get the latest homes for sale in Orange Hunt Estates. Check out the latest Market Trends for Orange Hunt Estates! Aaron J. Browning and the Browning Homes Group are always looking for ways to give back to the community. We’ve successfully negotiated an incredible discounted rate for lawn service. $9 for the front yard! This deal is exclusively for residents of Shannon Station and Keene Mill Village in West Springfield. Give us a call or email with your information and we’ll pass it along. Shannon Station is a 386-unit townhome community, constructed in the late 1980’s, with each home having a total square footage ranging from 1,840 to 2,300. Shannon Station is located right off of Old Keene Mill Road, only a short distance from the Springfield interchange with access to I-495 and I-395. The town of Springfield also offers several shopping centers and restaurants. The Shannon Station community features include an outdoor swimming pool, a clubhouse, basketball courts, playgrounds, tennis courts, and walking trails which flow throughout the neighborhood. 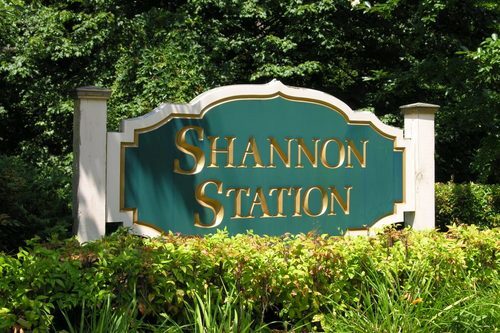 To learn more about the Shannon Station community, click here. For more information about Springfield – Shannon Station real estate, please contact theBrowning Homes Group at 1.800.991.4103. Sign up at our website to get the latest homes for sale in Shannon Station. For more information about Springfield – Keene Mill Village real estate, please contact theBrowning Homes Group at 1.800.991.4103. 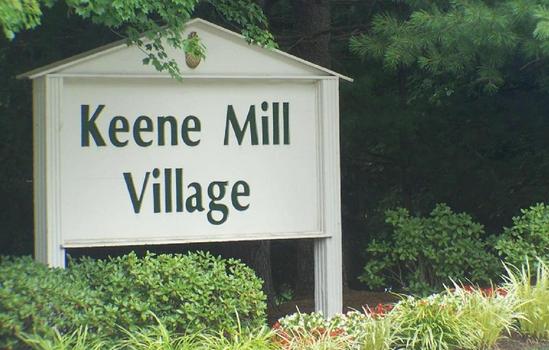 Sign up at our website to get the latest homes for sale in Keene Mill Village. West Springfield, VA, April 30, 2014 –(PR.com)– The Browning Homes Group, a real estate team that specializes in West Springfield, went to settlement on 3 homes located in the Shannon Station community of West Springfield. Two of the homes were listed for sale by the Browning Homes Group and sold for record breaking prices. One town home was listed on the market in March and received multiple offers. Aaron J. Browning, owner of the Browning Homes Group, represented the sellers. Due to his strong negotiating skills, this home was listed for $389,900, but sold for $412,000 – the highest price in the neighborhood in 7 years. This Covington model, end-unit town home sold in just 2 days and went to settlement on April 18, 2014. The second home listed on the market in Shannon Station this month by the Browning Homes Group sold in 3 days, for over list price. This Corbett II model, end-unit town home was listed for $389,900 and sold for $395,900 which is the highest price in over 6 years for that model. The home was listed for sale on April 4, 2014 and went to settlement on April 29, 2014. Also this month, Aaron represented buyers who wanted to buy a home in Shannon Station. Within hours of this Covington model town home being listed on the market, on April 4, 2014, Aaron helped his clients submit a winning offer. Aaron’s insight into the Shannon Station market ensured that his clients were the first to see the home and submitted a strong offer. Being a resident of Shannon Station himself, Aaron said, “No one knows more about our neighborhood or cares more about our home values than I do. My family and I live here, too.” The Browning Homes Group is helping preserve Shannon Station home values and bringing the home prices back up to where they were in the peak of the market. Aaron continues to prove why he is Springfield’s most referred realtor. The Browning Homes Group, led by Aaron J. Browning, specializes in West Springfield, Virginia real estate. Anyone looking to buy or sell a home in West Springfield can contact the Browning Homes Group and they will show you how their marketing plan can work for you whether you are buying or selling. Shannon Station home under contract in just 3 days with a record breaking price! Check out our most recent Press Release! The Browning Homes Group Sells a Shannon Station Home in 2 Days for Record Breaking Price! Call us today at 571.234.1456 and let us show you how our marketing plan can work for you whether you are buying or selling.